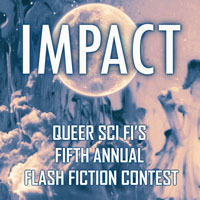 We showcase flash fiction and poetry which is GLBTQI friendly, and has a Gay, Lesbian, Bisexual, Transgender, Queer or Intersex theme. We print stories from established writers and new writers. We welcome submissions from writers of all ages and experience. New stories are posted regularly.